After a lovely baby shower party in Chelsea, London, I returned a few weeks later to photograph mummy and her newborn baby girl at their home, just before she was 7 days old. Her grandmother was a very welcome helping hand who expertly helped in soothing baby for her portraits whilst mummy had a well deserved rest. 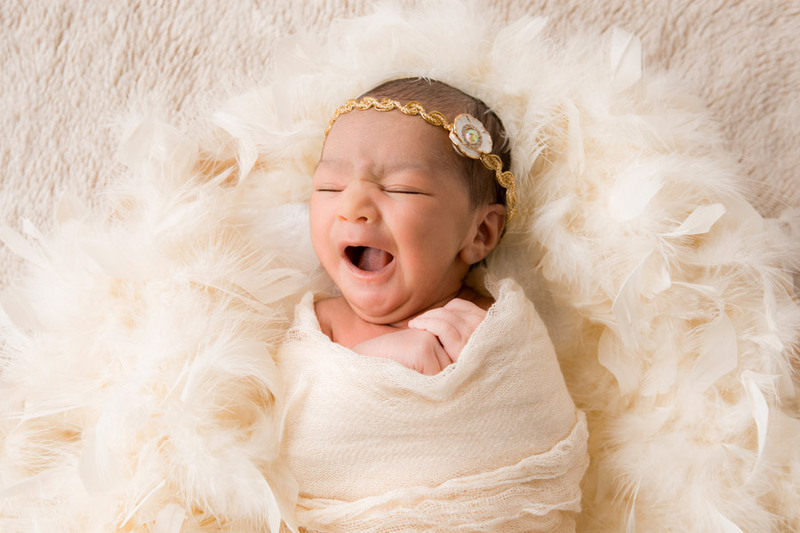 This is the beauty of having a newborn portrait session at your home, family members can be easily included in some of the pictures, lend a familiar hand with baby and mummy can catch up on some sleep whilst baby has her sleepy shots taken. Have a look at the slideshow of a small selection from a full morning shoot. This particular shoot lasted around 4 hours to allow for feeds, naps and changes of nappies and styles! Every baby suits different compositions, styles and colour of background, hats & hairbands and I am also led by parents as to how many or how few accessories appeal to them and can of course include any of baby’s own or source a particular request in advance, such as the inclusion of pretty angel wings in this shoot!